"Her massages are heavenly. I highly recommend her to everyone." " It was a great experience and I would recommend Doctor Brock to anyone." "Dr Brock is amazing!! He is very knowledgeable and took his time with me." "I am so thankful to have found his practice. I plan to go back for sure!" "Dr. Brock is very kind and patient. I took my daughter to see him twice..."
"Love this place! Dr Brock and his friendly staff will take care of you." 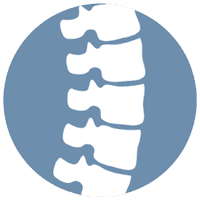 Paul Brock, DC, is a board-certified chiropractor dedicated to the principle that a well-aligned spine is the first step toward achieving mind-body harmony and overall health. His goal is to guide all his patients into homeostasis — the state in which the body’s musculoskeletal, vascular, and nervous systems function optimally, allowing the body to heal itself. Dr. Brock is licensed by the state of California to diagnose and treat a broad range of muscular, neural, and skeletal conditions. He works with all ages, from pediatric to geriatric. At Brock Chiropractic, Dr. Brock provides a variety of services, including chiropractic adjustment, massage therapy, percussive therapy, traction, electrotherapy, nutritional counseling, physical therapy, and many other methods of healing the body and enhancing its function. An expert in ergonomics, Dr. Brock can also make recommendations to redesign your work and living spaces in ways that eliminate stresses on your spine and joints, foster proper posture, and minimize the risk for injury. You get a voucher redeemable for $75 at Brock Chiropractic. Print out your voucher, or redeem on your phone with the Yelp app. 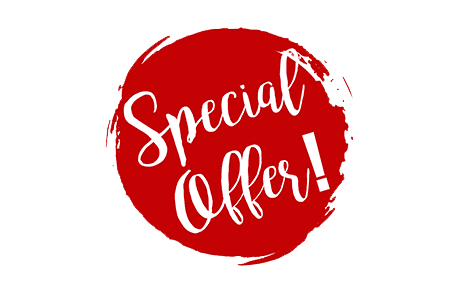 Promotion lasts for 1 year from date of purchase. After that period, your voucher is redeemable for the amount you paid, less any value you may have received. Not valid as payment for Eat24 purchases. Not valid with other vouchers, certificates, or offers. Voucher can only be used for services, not retail products. Only 1 voucher(s) can be purchased and redeemed per person. Up to 3 can be purchased as gifts for others. Subject to the General Terms. "Dr Brock and staff are very friendly and a hoot to be around. Adjustments and treatment are effective. Massage therapy are wonderful. Definitely recommend this place." "Been coming here for a couple of months and Dr Brock & his staff are great! I was having back pains in my neck, shoulders,and mid-back, but now feel a lot better." "Dr. Brock was very knowledgeable and good at explaining to us what was happening in her neck. A great experience!" "I feel great after the adjustments plus Dr. Brock added the percussion therapy to my treatments which has really helped, especially with some of my extreme tension..."